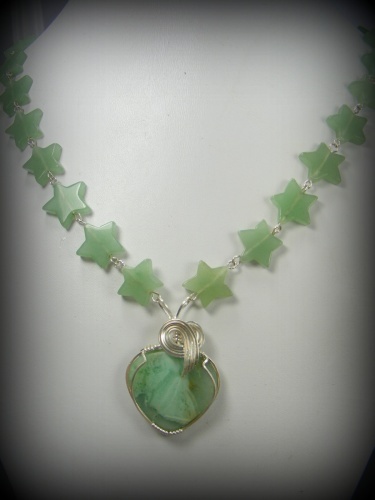 This sweet necklace is made of adventurine gemstone star shaped beads and has a pretty matching gemstone focal sculpted in sterling silver swirls. Fun to wear and beautiful pastel green. Piece has a hook clasp and measures 18" and comes with a free pair of matching earrings.